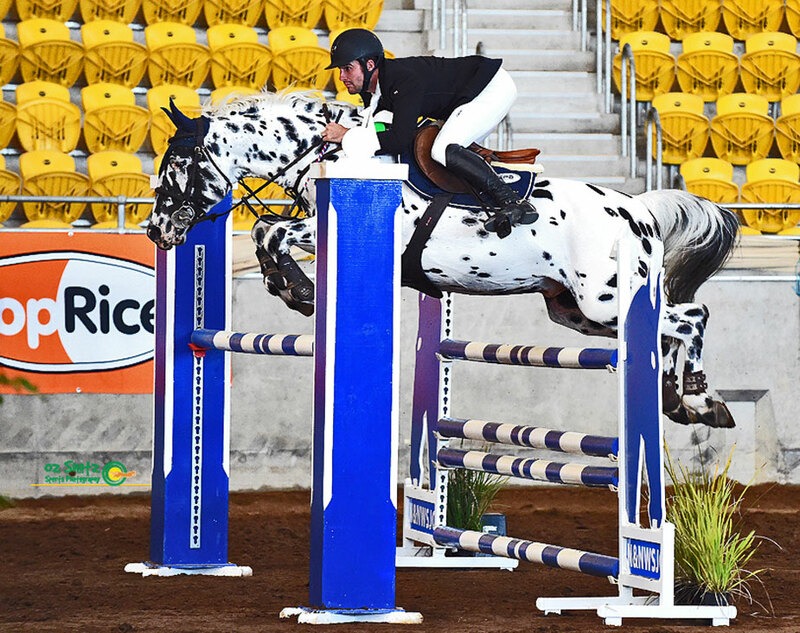 When performance in the most demanding of equestrian arenas counts, you can count on a Cayuse Sportaloosa. 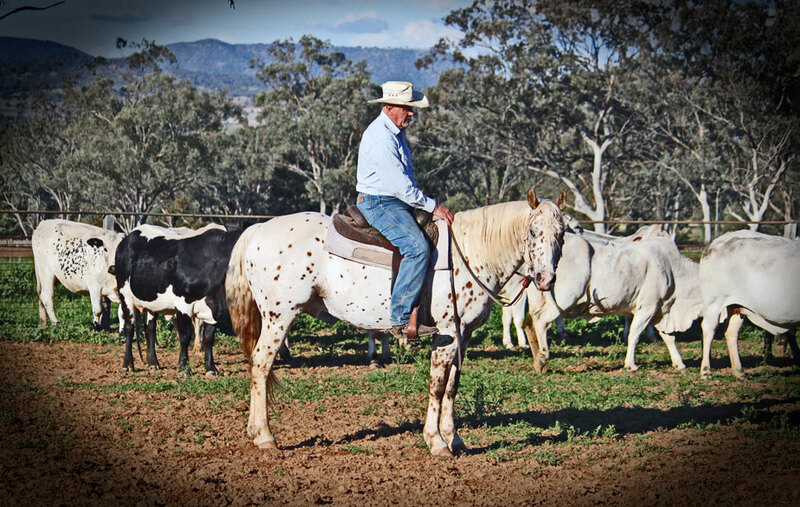 Cayuse Appaloosas are sound, sane and smooth to ride. 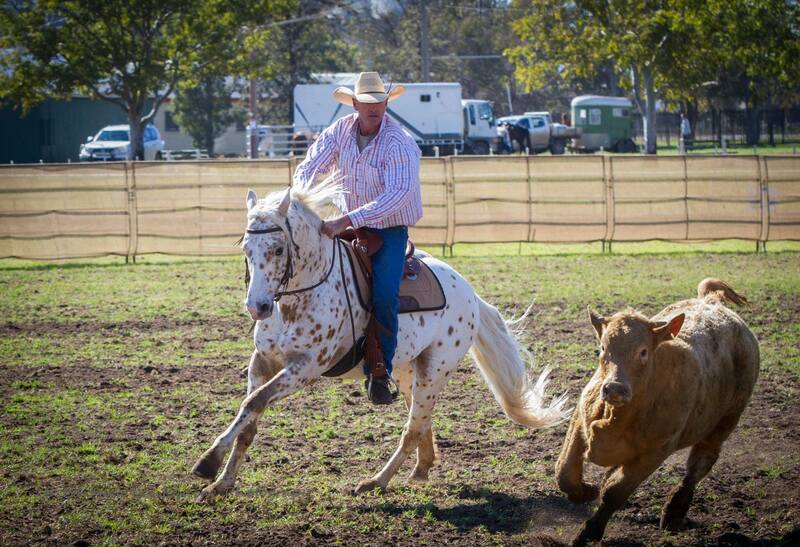 Count on a Cayuse Appaloosa to have eye catching, balanced, uphill conformation and to have the bloodlines that work. People know it's Cool to ride a Cayuse! 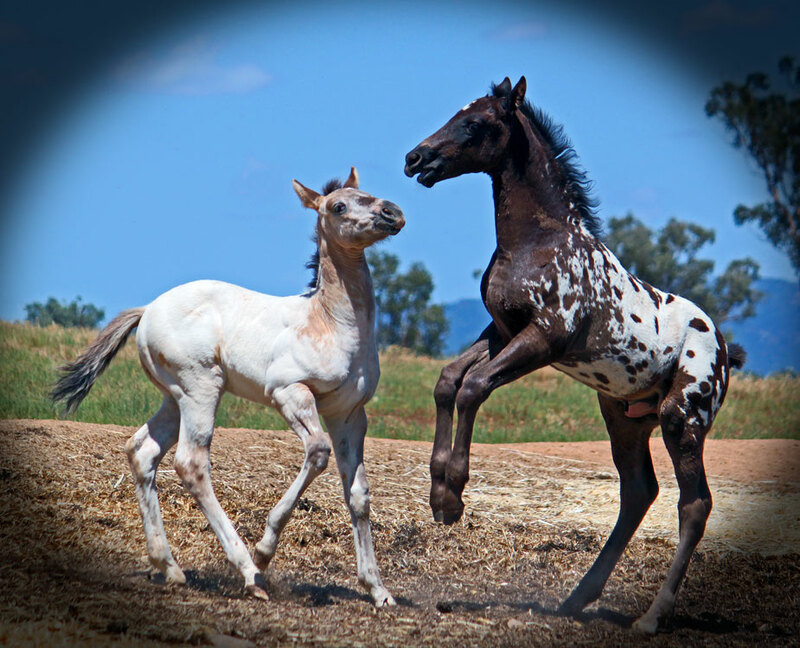 Cayuse Sportaloosa Stud has been breeding Appaloosas, standing Appaloosa stallions at stud and offering Appaloosas for sale since 1973. 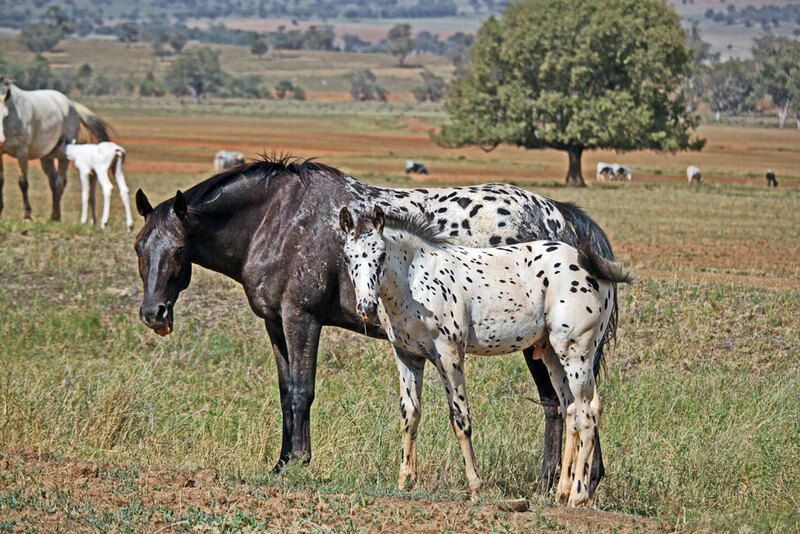 For over 4 decades, our Appaloosa stallions and breeding programme have produced sensational Appaloosas for all disciplines. 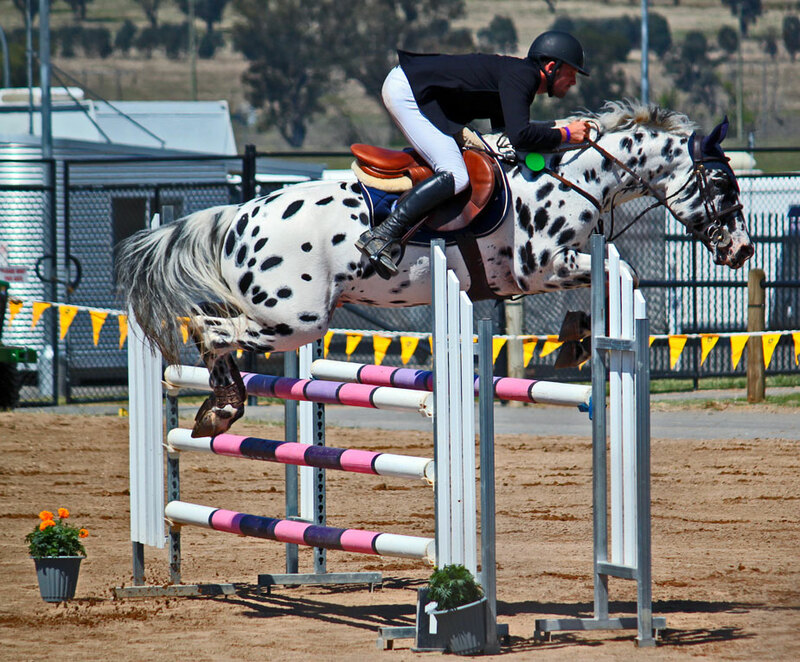 Our elite modern Appaloosa stallions have included Tonga Royal Mr Sunday, Executive II (USA), Cayuse Atomic Bars, Mighty Gay Bar GG (USA - last son of Mighty Bright, Hall of Fame), Cayuse Fewsion (AAA Superior All-Round Performance Horse), Skip's Supreme (USA) and our most wonderful stallion Mighty Storm Song (USA). 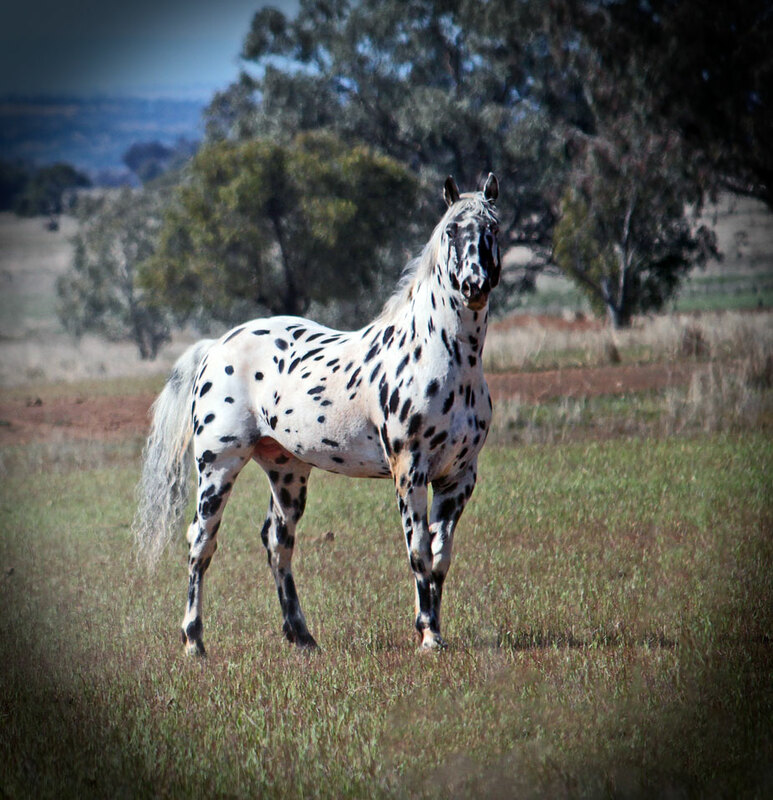 This sensational sire of multiple national and state Appaloosa champions at halter and performance, 3 times national grand champion Appaloosa at halter and multiple national and state performance award winner himself, passed away in June 2008. 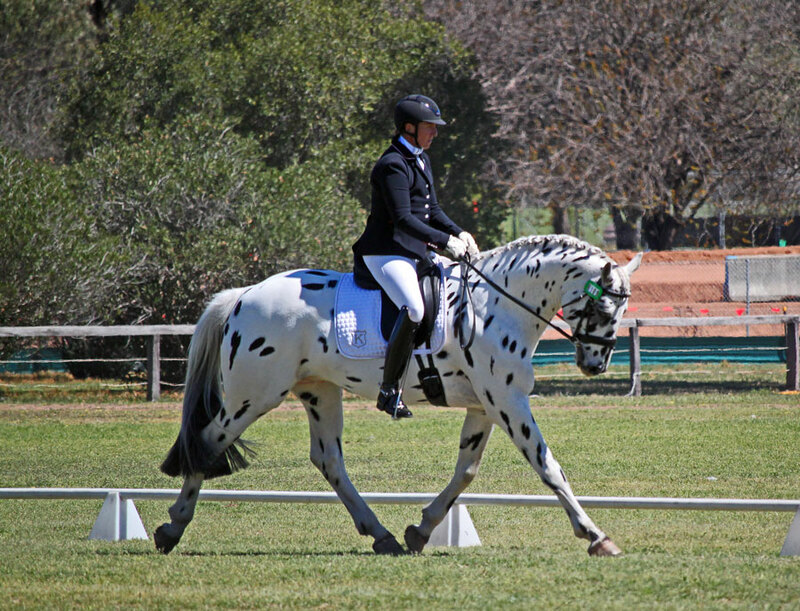 Cayuse Sportaloosas is proud to currently offer Lori's Flashpoint Af Lyn, the first black leopard Knabstrupper stallion to come to Australia from Germany. 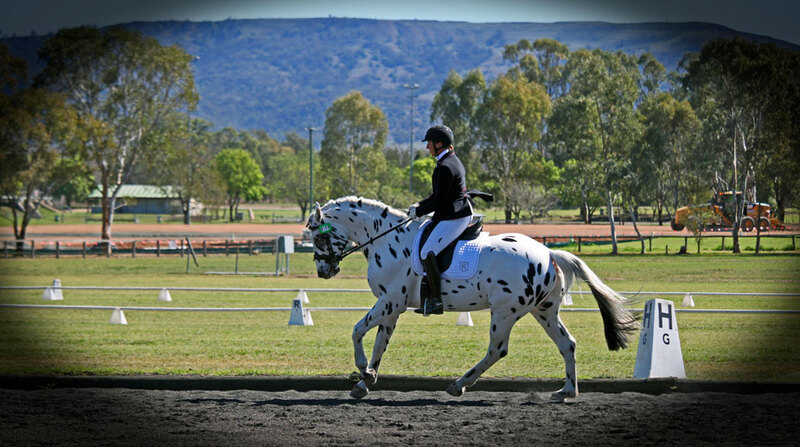 The Knabstrupper is a rare Danish warmblood, the classic sporthorse with the spectacular exterior. 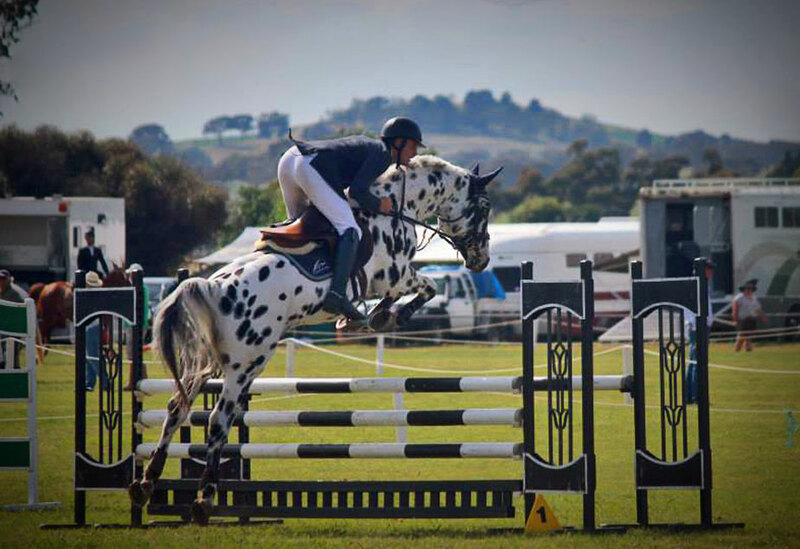 Truly an exciting horse for the coloured warmblood enthusiast. 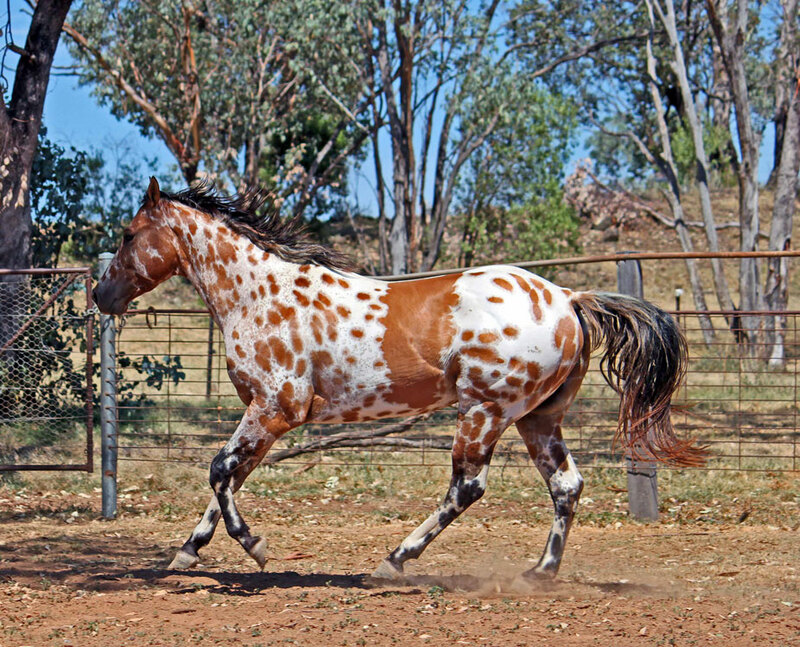 For the working horse breeder we offer the super talented cowhorse Cayuse Chatta Lena.This stunning gold palomino stallion is a carbon copy of his legendary sire Ric-O-Lena,undefeated National cutting champion,NCHA certificate of ability.Our stallions consistently produce Appaloosas for dressage, jumping, eventing ,reining,cutting and campdrafting.They have the temperament for all the family and with their good looks are show horses deluxe. 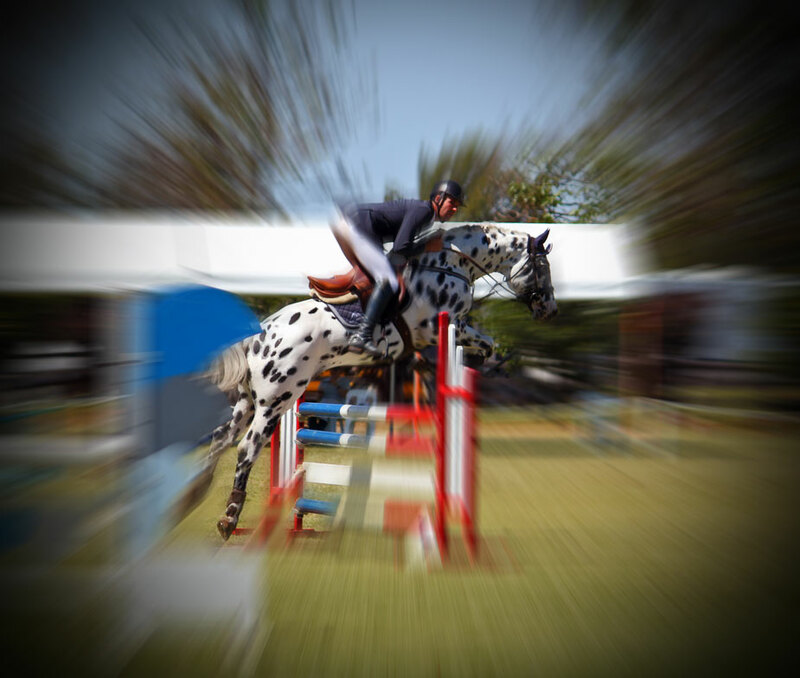 We always have top class Appaloosas and Sportaloosas for sale and invite you to pay us a visit... you'll be pleasantly surprised by the quality and choice available at Cayuse Sportaloosas.